The Record Reason Duo pairs the world-renowned, award-winning music production environment Reason (version 5) with brand new Record (version 1.5), the recording software for musicians.Record is a software recording studio for musicians. Reason is a world-renowned electronic instrument rack packed with all the gear you could possibly need. Together they form a self-contained production environment for musicians and producers alike. Well-designed recording tools help you get the most out of your performance, while top-notch synths, drum machines and samplers let you complete your productions. Great sounding effects and mixing gear will make your tracks sound better than ever. For guitar players, Record's built-in virtual pod from Line 6® brings a wide range of top quality guitar tones. For keyboard players, Reason brings world-class synthesizers, samplers and drum machines. Record’s software mixer’s sound and signal processing was faithfully modeled after the legendary SSL® 9000K hardware. Flexible routing, full dynamics, EQ, advanced effects handling, full automation and a 64-bit mix bus gives you that big studio sound. and demand top quality results. 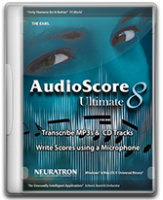 recording software for unsurpassed performance, stability and sound. than ever. Simple to use, yet as deep as you make it. dynamics, EQ, advanced effects handling and more on every channel, for great-sounding mixes.